Join us in celebrating the people who are part of this legacy of stewardship! Most trail lovers know that the Appalachian Trail (A.T.) runs from Springer Mountain in Georgia to Mount Katahdin in Maine. But even the most enthusiastic hiker may not know that the A.T. began right here, less than 50 miles from Manhattan. On Oct. 7, 1923, Trail Conference volunteers officially opened the first section of the Appalachian Trail, which they built and blazed through Bear Mountain and Harriman state parks in New York. Today, over 2 million people visit Bear Mountain each year, making this original section of the A.T. one of the most heavily used along the entire Trail. A plan was needed to accommodate such a high volume of hikers and protect the mountain from being "loved to death." 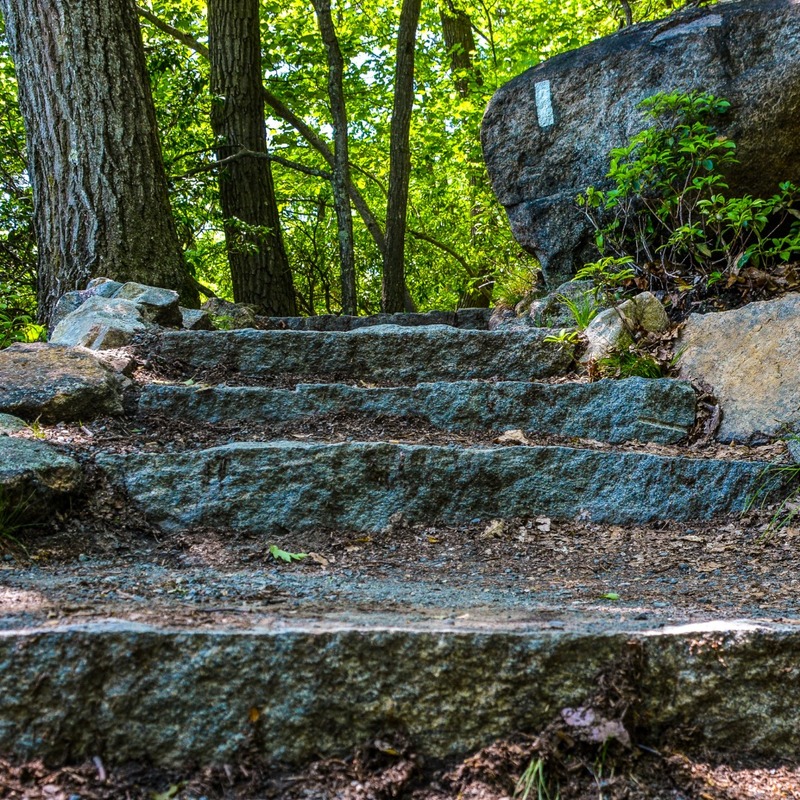 Over the last 14 years, the Trail Conference has worked with our partners to transform the Appalachian Trail at Bear Mountain from an eroded, washed-out, 10-foot-wide scar into a safe, sustainable footpath. As we prepare to complete the historic Bear Mountain Trails Project this fall, we invite you to celebrate the most ambitious rehabilitation of the A.T. ever conducted—built by dedicated volunteers, just as it originally was 95 years ago—at our Annual Gala. Join us Thursday, Oct. 18, from 7-10 p.m. at our headquarters for an inspiring evening celebrating the Trail Conference’s rich history and vision, as well as the exceptional work of our most outstanding partners, in creating great trail experiences for all to enjoy. The evening of celebration will include live music and a silent acution. Enjoy light dinner and an open bar featuring local wine, beer, and cider. Auction to Benefit the Trail Conference: Place Your Bid Here! Great Camp Sagamore Getaway: Enjoy a 2 night stay in the Adirondack Wilderness at Great Camp Sagamore. Learn fascinating history of the area as you explore the Adirondack Experience museum. Relax in the evening sipping on tasteful wine! Adirondack Explorers Weekend Night stay: Spend your day exploring the Adirondack Mountains, take a walk along the treetops at The Wild Center and evening stay at the beautiful Golden Arrow Lakeside Resort. Feel rejuvenated with healthful products from the Birch Boys Chaga. Happy Bidding: Place Your Bid Here!